Hair Removal Staten Island - Individual Expressions, LLC. Some people hear the words body waxing, and then they immediately think of agony and pain. Many movies and TV shows exaggerate how waxing feels as a means to create laughs. This is very apparent in the "40-Year-Old Virgin," when the main character has his abdomen waxed. If someone tells you that waxing is pain-free, they are probably not being completely honest. Waxing will hurt, but it will not be severe, and it will not last long. Several things can be done to help lessen pain and make the experience more pleasant. Before going for waxing, you can take an aspirin or two. Try to do this about an hour before hand, so that the medication is fully working in your system by the time of waxing. Some people like to use alcohol to numb pain, but drinking will cause pores to tighten, and it will be harder and more painful to remove hair. Instead of beer or whiskey, you should drink water. Water opens pores and moisturizes the skin. Let hair grow to a decent size. If hair is not long enough to adhere to the wax, it will only pull your skin, which hurts. Having hair to grasp will lessen overall pain. Exfoliate your skin prior waxing to open up trapped hairs. For more information about what you can do during and after treatments to minimize pain, please give us a call. 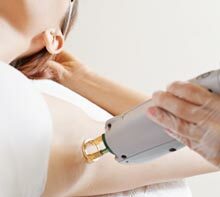 We specialize in hair removal on Staten Island. We can do waxing on Staten Island for both men and women as well as electrolysis.